The original owner and builder of this stone corral was Granville P. Swift, a native of Kentucky. 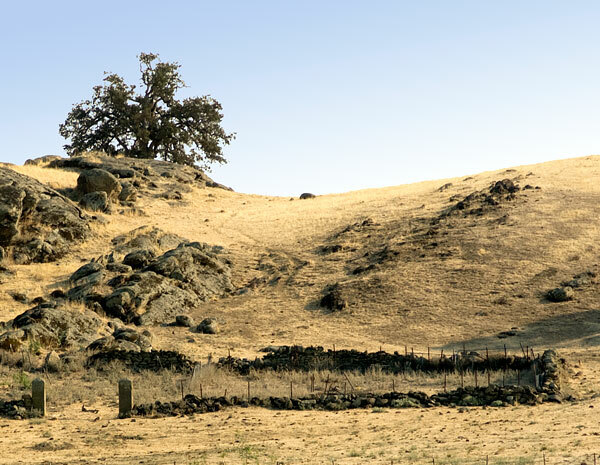 In 1847 Swift began ranching in Stone Creek Valley in Colusa County. In 1850 he and his partner Frank Sears needed a corral and, as there was no timber in the surrounding country, they built one from the flat stones that were scattered over the area. Although Swift's Stone Corral is on private property, it is visible approximately a thousand feet south of Maxwell-Sites Road. A couple of miles further out Maxwell-Sites Road is the Sites Quarry which supplied sandstone to build the Ferry Building in San Francisco and the Carnegie Library in Colusa. We were unable to locate a commemorative plaque beside the road. If you know of one, please contact us.